CANTON, Mass. (July 2, 2013) – With the hottest days of the year upon us, Dunkin’ Donuts, America’s all-day, everyday stop for coffee and baked goods, is giving people a great new way to keep cool at home with the brand’s famous Iced Coffee. 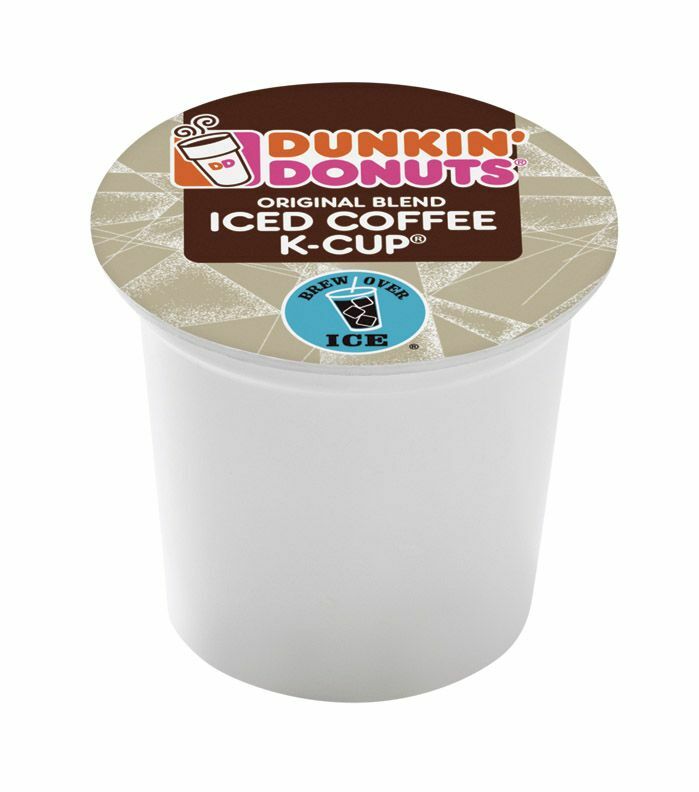 Dunkin’ Donuts today introduced Original Blend Iced Coffee K-Cup® packs, a new variety of the brand’s popular K-Cup® packs for use with the Keurig® K-Cup® Brewing System. Dunkin’ Donuts’ Iced Coffee K-Cup® packs are available through August at participating Dunkin’ Donuts nationwide. Dunkin’ Donuts’ new Original Blend Iced Coffee K-Cup® packs have been specially crafted to deliver the great taste of Dunkin’ Donuts’ delicious and refreshing Original Blend Iced Coffee in a single-serve portion, at the touch of a button. The Iced Coffee K-Cup® packs are brewed hot directly over ice, delivering the smooth, delicious taste that’s made Dunkin’ Donuts America’s Favorite Iced Coffee, made to enjoy at home. Dunkin’ Donuts’ Iced Coffee K-Cup® packs are recommended for use with the 6 oz. or 8 oz. brew setting on the Keurig® K-Cup® Brewing System. Sold exclusively at participating Dunkin’ Donuts restaurants, Dunkin’ Donuts’ K-Cup® packs are offered in five popular flavors, including Original Blend, Dunkin’ Decaf®, French Vanilla, Hazelnut and Dunkin’ Dark® Roast. The suggested retail price for a 14-count box is $11.99. Keurig® single cup brewers for use in-home and in the office utilize a patented, innovative brewing and single cup technology to deliver a fresh-brewed, perfect cup of coffee, every time at just the touch of a button.